Just when my action cams arrived in the post, I was playing through the menus and my neighbour knocks on the door. He came to warn me that he’s setting fire to some trees he chopped in the summer. Perfect time to test out shooting a time-lapse. With the blessing of Nathan and Hannah, they let me set up right in front of the wooden pyramid structure they put together in the back garden. I’d like to say it was difficult to set up the scene but Nathan did most of the dog work and I just popped the camera there. I went for a 5 second recording interval, so that I had a decent chunk of action at a time. 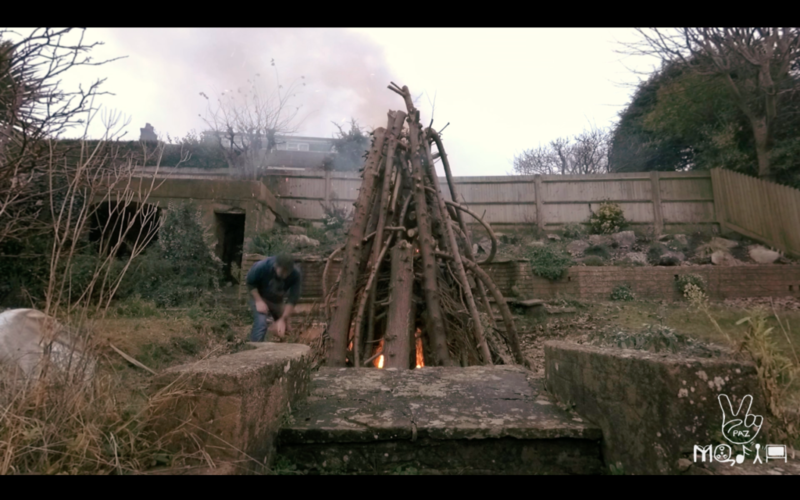 This lent itself well to when Nathan comes in tending to the fire every now and again. Shame I didn’t get a chance to charge the battery before I used it, otherwise we might have seen the logs burn to the ground. 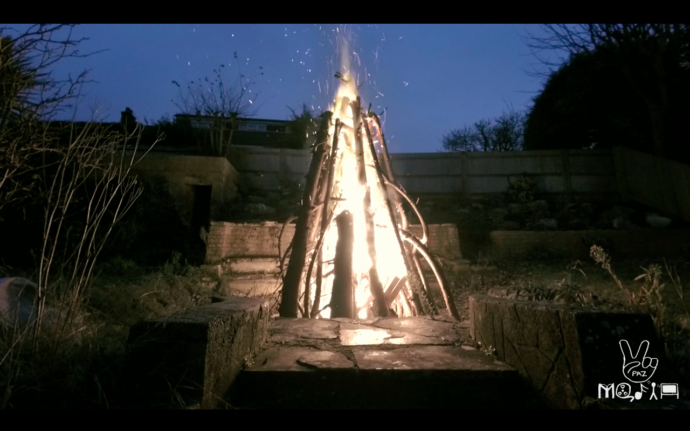 The video looks cool despite this and the music by Monplaisir really fit this piece, giving it a campfire sound, Check it out below. Super cool video. Need more.